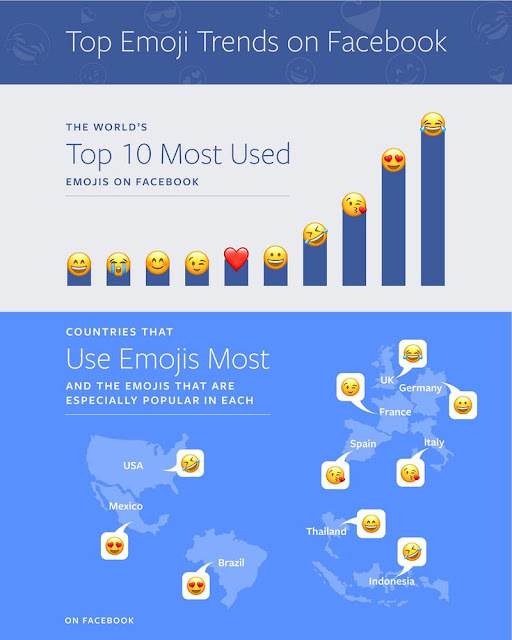 Monday was, believe it or not, World Emoji Day, and to celebrate, Facebook released a couple of small infographics showing which emoji were the most popular, and where they were the most popular. As it turns out, the 'crying with laughter' face is the most popular, followed by the 'heart eyes' one and then the 'blowing a kiss' one, with a second, slanted laughter crying face in fourth. The only emoji with any negative connotations to make the cut was the actual crying face, which came in at number nine. In terms of international spread, the heart eyes face was more popular in Mexico and Brazil, which the cry-laugher dominated the USA, UK and Indonesia. The winking face was the most popular in France. Make of that what you will. Of course we're trusting Facebook entirely here, but there's no actual data to go along with the infographics, so any further information like the actual numeric frequency of emoji use remains shrouded in mystery. What's also unclear is whether or not these results are pulled purely from public content like status updates and comments, or from private content like chats as well. In either case, it seems to suggest that while the library of emoji has become mind-bogglingly vast in the past few years, the way people use them has not become that much more sophisticated. If you were expected to see meme favourites like the aubergine or umbrella emoji on the list, you're in for disappointment. 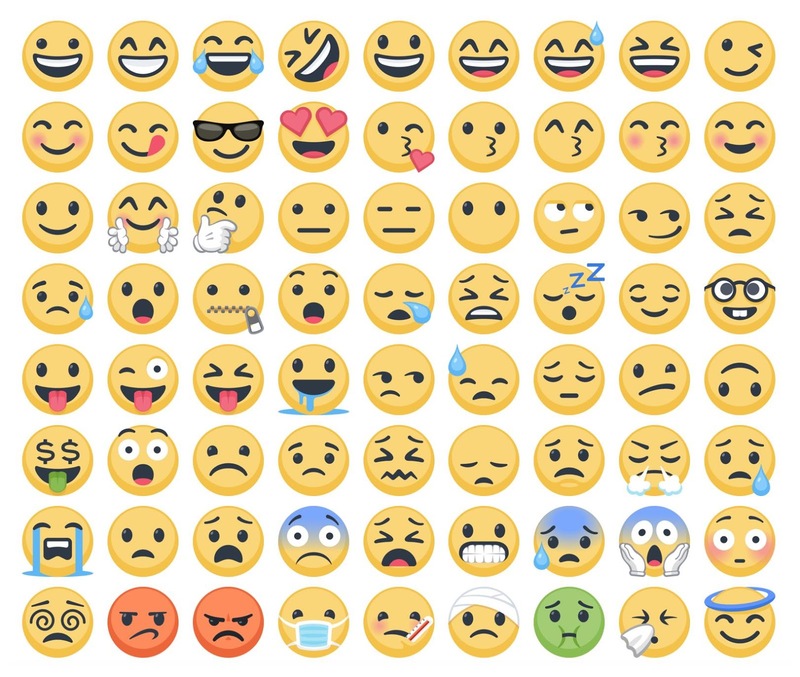 While Facebook were doing that, Apple introduced a few new emoji into the ever-growing pantheon. Well, introduced might be a strong word, more like gave us a closer look. The emoji keyboard will be updated when iOS 11 arrives, and Apple used the bizarre international celebration to 'preview' a few, including the highly anticipated 'breastfeeding' emoji.